Previous Article The Genetic Genealogist Celebrates 10 Years of DNA! Next Article Do NOT Miss the NERGC Conference in Springfield in April! Is there a relationship between chromosome 7 and the X chromosome? No, there’s no relationship. But the two chromosomes are almost the same size, so chromosome 7 is a control in the experiment. Sorry, I do NOT understand what this study is wanting to find out about. 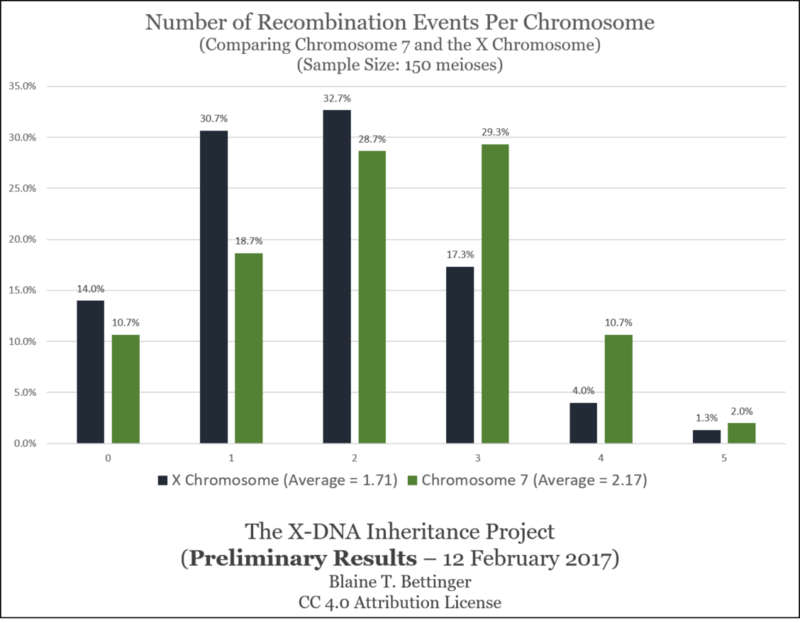 My Uncle had his DNA done for the hhhdna.com project. It proved my mother Deloris Hardin was from the (in)famous Hardin’s who are suppose to have been from France to Canada to Virginia. I had my DNA done by National Geo. But I believed that a female could NOT be connected to ancestors. Unfortunately I do not have any of my grandparent’s to test. Will a mother/son or brother/sister help in any way?